For many people, motorcycling isn’t just a method of transportation; it’s a lifestyle. When operated safely, motorcycles offer a fun and exhilarating way to travel and enjoy scenic roadways. However, other drivers often fail to share the road with motorcyclists. When collisions between motorcycles and other vehicles occur, it's almost always the motorcyclist who suffers the serious injury. 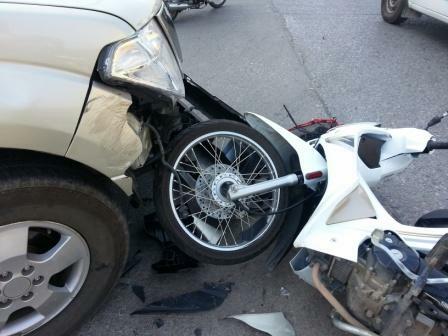 Insurance companies consistently undervalue motorcycle collisions. Our attorneys will determine the true value of your claim and fight diligently for the full and fair compensation you deserve. To discuss your case for free, please call the Law Offices of Gary Bruce today at 706-596-1446. If you can’t visit our office in person, we can meet with you in your home or hospital room. We proudly serve clients from throughout Georgia, including Columbus and Fort Benning, as well as areas in and around Phenix City, Alabama. If you were harmed by another driver’s careless or reckless actions, it’s important that you choose a trusted law firm that can protect your rights. The experienced motorcycle accident attorneys at the Law Offices of Gary Bruce have the knowledge, skill and depth of resources necessary to effectively pursue the justice and compensation you deserve. Contact us today to discuss your case for free. According to a recent study by the National Highway Traffic Safety Administration (NHTSA), 5,286 motorcyclists were killed in crashes in 2016. That number is the highest since 2008, and a 5.1 percent increase from 2015. If your loved one was killed in a motorcycle wreck due to the negligence of someone else, our attorneys can help. With more than 25 years of experience, Gary Bruce has seen the tragic impact these accidents have on the lives of the individuals and families involved. Surviving loved ones can suffer tremendous hardships due to the loss of emotional, physical and financial support. We know that no amount compensation undo the devastation of suddenly and unexpectedly losing someone you love in a wreck, but a wrongful death action can help you and your family survive financially through this difficult time. Take a moment to compose yourself and focus on the situation. Ensure your immediate health and safety. Document the accident scene with photographs from several angles of the vehicles involved. Contact the police and ensure an incident report is filed. Seek medical attention regardless of whether or not you appear to be injured. Many injuries do not show symptoms until days or even weeks after an accident. These injuries can be detected through medical examinations such as a CT Scan or MRI. Having an experienced motorcycle accident lawyer on your side can make a tremendous difference in the outcome of your case. If you’ve been hurt in a crash, our motorcycle attorneys can handle every aspect of your claim so you can focus on healing. We are firmly committed to helping you make a full physical and financial recovery. A serious motorcycle accident can have a life-altering impact on you and your family. It’s important to realize that Insurance companies are in the business of making money, not paying claims. Insurers will do everything they can to reduce the value of your claim or deny it altogether. At the Law Offices of Gary Bruce, we know the tactics insurance companies use to protect their own interests. We fight to protect your best interests; not just for what you need now, but also for what you will need in the future. Our goal is to seek maximum compensation for you. We care about injury victims and we want to hear your story. The most important reason to wear a helmet is to greatly reduce the risk of personal injury. Additionally, failure to wear a helmet can significantly reduce the amount of compensation you can be awarded, even if the wreck is proven to be the other driver’s fault. When facing traumatic injuries and costly medical bills, reduced compensation can be a devastating consequence. Although wearing a helmet visor is recommended for certain types of motorcycle riding, visors are not required by law in either Georgia or Alabama. The knowledgeable lawyers at the Law Offices of Gary Bruce have extensive experience handling defective products cases. If a designer or manufacturer is responsible for a defect and did not adequately warn consumers who purchased their products, our attorneys will hold them accountable for their negligence. When facing the physical and financial challenges that accompany a serious injury, maximum compensation isn’t an extravagance; it’s an absolute necessity. You may be dealing with pain, suffering, medical bills and lost wages that you and your family cannot afford. Gary Bruce has successfully represented motorcycle accident victims for more than 25 years. His firm has the experience, resources and history of success to ensure you receive the exceptional legal counsel you should demand from a law firm. Call us today to discuss your case for free. 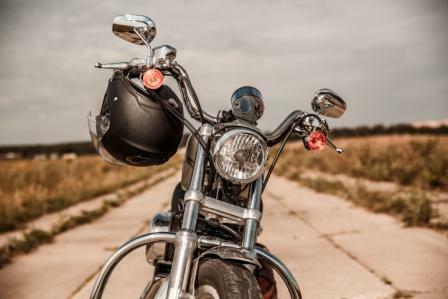 If you are a service member who has been in a motorcycle crash, you need a law firm with skill, experience and a proven record of success in providing legal services for military families. The Law Offices of Gary Bruce offer a depth of knowledge in cases that occur both on and off military bases. For more than 25 years, we have worked with the government, the army and the army hospital and know how to coordinate with the government to maximize compensation for soldiers and military dependents. We want to hear from you. Whether over the phone, in our office, at the hospital or in your home, we will do whatever it takes to work with your schedule and circumstances. We handle motorcycle accident cases on a contingency-fee basis, meaning that you owe us nothing unless we reach a successful outcome in your case. We’ll cover the necessary expenses and can help you with medical options. Call the Law Offices of Gary Bruce today at 706-596-1446 to discuss your case for free. We proudly help clients throughout Georgia and Alabama, including people in and around Columbus, Fort Benning and Phenix City.